Another week, another conversion. With the first character conversion from Saga Edition to Edge of the Empire out of the way, I'm able to move on from design theory and method explanation to a discussion of conversion on another character. I'm going to try churning these out pretty quickly from here on, because my current game is sorta on hold until I complete these. I was indirectly asked in a different board why I don't just wrap-up the current campaign and start a new one. The simple reason is because it would be like wrapping up the Lord of the Rings just after the Battle of Helms Deep. Or Star Wars just after The Empire Strikes Back. The characters just turned a corner, and have a good 4-7 sessions left to get to a point where I could end the campaign on a good note. I'll be building him on 300xp after starting character creation. Let's see what we have to work with. 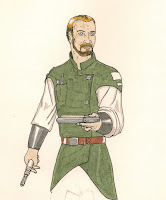 Marin was passed over for Jedi training as a youth, and instead found his way into the Republic Astrological Survey Team, and working with the Jedi Explorer Corps. He's a wonder at the controls of the group's transport ship, a YT-1930 transport named The Thranta. He's also a great shot with is slightly more "socially-acceptable" Targeting Blaster Rifle, as well as having a good amount of proficiency with stealth. As we did with Barret, we start by looking at Marin's stats. Ironically we're looking a lot like we did with Barret, except that I put Agility at 4 and Intellect at 3. All other stats are at 2, because I've just burned 100 of his starting 110xp and can't afford to raise any more Characteristics. My biggest conundrum was where to start Marin. Explorer/Fringer fit. Smuggler/Pilot fit. Heck, even Bounty Hunter/Assassin fit. After a long car ride and discussion with Marin's player, we decided that a split between Fringer and Assassin made the most sense. Looking at the Career skill lists for Bounty Hunter and Explorer, and the Specialization skill lists for Assassin and Fringer, I decide to have Marin start in Assassin. He's not really an assassin, more of a hunter and exploration party protector when on uncharted worlds. Initial skill selections from Bounty Hunter are Athletics, Perception, Piloting-Space, and Ranged-Heavy. From Assassin we'll put a point into Coordination and Stealth. This covers Marin's athletic ability, his sneakiness, his piloting skill, and his rifle proficiency. I'm going to bypass Marin's bonus human skills for now. I want to see where the rest of the character goes and fill in any holes. I will put the last 10xp from character creation into Ranged-Heavy, bumping it up to 2. Let's start spending XP. I'm going to bump up Piloting-Space to Rank 3 for 25xp. I'm also going to pick up a couple Knowledge Skills for Marin, those being Lore and Outer Rim for 10xp each. That should cover Marin's Galactic Lore skill from Saga. It won't cover much from the Core Worlds, but it will cover the Outer Rim and the Obscure, which fits why Marin had it in the first place. I think at this point I'll declare one of his Human skills for Education, which will cover Physical Sciences but can also help him out in other areas. Ironic, he loses something from Galactic Lore, but gains more than Physical Sciences gave him. I know I'm going to take Fringer which will cost 30xp thanks to it being Marin's second Tree from a different Career. I'll buy up Marin's Astrogation skill at this time. He's a good Astrogator, thanks to his Hyperspace Savant talent in Saga. I might need the points elsewhere so I'll only buy it up to Rank 2 for 15xp, total. I see Marin won't get access to Mechanics as a Career skill, so I'll make that the other Human skill. Moving on to Assassin Talents; I took this tree for it's great list of talents for a sniper build. With Dead-Eye, Careful Aim, Extend Ambush, and a rifle that is designed to be used with an aim action this is where Marin's specialty in combat lies. The first column in the Assassin tree is calling for Marin to dump XP into it. Grit for 5xp is where we start, moving on to Precise Aim for 10xp. Targeted Blow is great for Marin's Agility of 4; he'll be able to flip a Destiny Point to deal +4 damage with a successful attack. I'll hold up there, even though going through Stalker will get him a second Precise Aim an a pair of Sniper Shot talents. I do like Stalker though, with it's Boost die to Stealth and Coordination. Fortunately, we can snag it back on Row 1 for 5xp. I see that Quick Draw (a feat Marin had in Saga) is a short hop down from Dodge at 5xp, which is a nice defensive talent to have. Plus, between Fringer and Assassin Marin could end up with 4 ranks in Dodge. I'm also going to take Jump-Up, branching off from Precise Aim. It's handy, allowing Marin to get up from a prone firing position quickly. Looking in Fringer, it'll also allow him to bypass that same talent in a 20xp slot and get that much closer to a Dedication talent. Time to move back over to Fringer (which I paid for back in the Skills area). There's a great cluster of talents perfect for galactic travel and exploration. We start with a rank of Galactic Mapper for 5xp, move down to a rank of Skilled Jockey for 10xp. Now Marin's taking off a black Setback die from Astrogation and Piloting checks. Master Starhopper at 15xp allows him to decrease the difficulty of Astrogation checks, which fits in nicely to replicate the Hyperspace Savant talent. Now his Astrogation really could be as good as his piloting skills. I like Defensive Driving, adding 1 Defense to a vehicle Marin pilots. It's only 15xp, and is a good replicator for the defensive aspect of the Vehicular Combat feat. Moving on from there, Marin's a hardy individual. The life of being a scout will do that. I want to put some points into toughening up Marin, so I slide over a couple columns to take Rapid Recovery for 5xp, another rank of Grit for 10xp, a second rank of Rapid Recovery for 15xp, and move over from Grit to take a rank of Toughened. Now Marin can take a little more damage, suffer a little more strain, and recover more strain after an encounter. Last area of Marin's backstory is his connection to the Force. He's not trained, not really. At best he goes off hunches, sometimes weighing the outcome against what his gut is telling him. He has learned to be better at going with his gut, thanks to Skill Training in Use the Force in Saga Edition. We'll start with taking the Force Sensitive Exile specialization tree for 30xp (3rd Tree, and a Universal tree). I like the look of Uncanny Reactions, and Uncanny Senses at 5xp each. Ironically, going into Exile gets Marin access to a Talent that touches on his Survival skill training in Saga; Forager. This talent will make it easier for Marin to scrounge food and water in the wilds, something that Survival allowed him to do. It's a great fit. Now, I like the idea of Marin having some Force ability, but have it be explained as a more passive, instinctive manifestation. We have Marin take the Sense Force power for 10xp. We then spend another 10xp to get the first Control Upgrade. This will allow Marin to dedicate his one Force Rating die to a defensive ability; once per round he can upgrade the difficulty of an incoming attack. It has been clarified that this upgrade works in vehicles as well as personal combat (unlike the Dodge talent), so this is another way for Marin to display his piloting ability. Equipment time! Marin's got this hot Targeting Blaster Rifle. In Saga Edition, this was a weapon that was a Licensed weapon, as opposed to a Blaster Rifle which is Restricted. Base damage was that of a Blaster Pistol, but if you aimed with it the base damage went from 3d6 up to 3d8 (standard Blaster Rifle Damage). I could just say "to hell with it, it's a Blaster Rifle" and call it a day, but I like where this is going so I'm going to work with it. I'll take the Blaster Rifle skill (Ranged-Heavy), Critical Rating (3), Range (Long), and Hardpoints (4). I lower the base damage to that of a Blaster Pistol (6), and the Rarity to 4. These weapons are supposed to be pretty sizable too, bigger than a Blaster Rifle, so the Encumbrance is 5. It keeps the Stun-Setting quality, and gains the Cumbersome 2 quality (meaning you need a Brawn of 2 to use it without penalty). Here's where we work in the unique quality from Saga. I'd thought about things like "when you take an Aim maneuver, you get an extra Boost die", but that would affect the ability to hit as well. Successes equal damage, but the targeting rifle is supposed to hit harder when you aim, not be easier to hit with in the first place. So I need a way to increase the damage when aiming and came up with this; when the character uses the Aim maneuver, the rifle gains the Pierce 3 quality for the next attack. That effectively brings the base damage of the rifle back up to that of a Blaster Rifle. I could also say that instead of Pierce 3, the rifle's base damage increases to 9, instead of 6. Two ways of doing the same thing, really. I just feel that gaining "Pierce 3" sounds cooler and conveys how deadly the rifle can be in the right hands. I'm tempted to dial it back so that to gain the Pierce 3 quality you need to have used 2 consecutive Aim maneuvers. We'll see how it playtests like this. I might just say "to hell with it, it's a blaster rifle with the long-barrel modification". We'll see. Other than that, toss in a blaster pistol, add in some standard gear, some Padded Armor for protection, and Marin's good to go. We move on to Obligations and Motivations. I had all my PCs answer the Three Questions by GM Chris, so I've got a great place to start. Based on his character backstory, his Obligation is the same as Barret's, the loan on their ship. They've kept ahead of their payments, so the Obligation is only a 5. His motivation is also similar to Barret's; Ambition-Wanderlust. Marin loves exploring, and would be happy just pointing his ship in a direction, throwing the hypersapce levers, and ending up wherever the Force takes him. 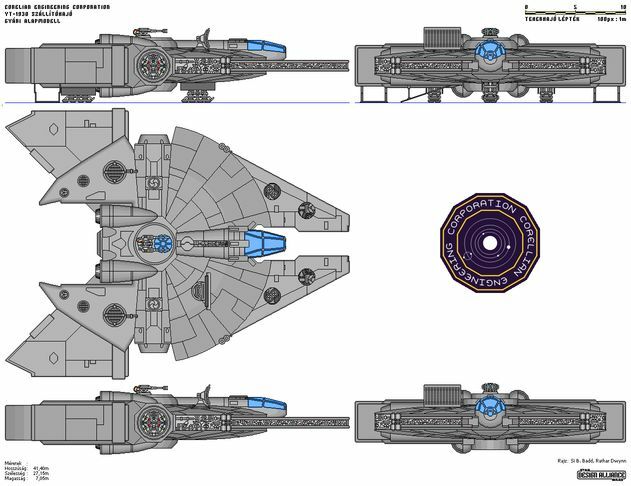 Not To Be Confused With "Benny and the Jet"
As mentioned, Barret and Marin own a YT-1930 called The Thranta. It's the party's ship, their main transport, and has brought them through many tough scrapes and close calls. The party has made some extensive modifications to the stock model. Guns have been added, shield systems and hyperdrives upgraded, a cryogenic hold added to the storage by, and even a special "fighter cradle" that allows the ship to transport a small fighter with them in hyperspace. This is not a ship that FFG has done stats for, yet. Thankfully, Donovan Morningfire wrote up some stats for it for the GSA. After some modifications, here's how she looks Edge of the Empire style. Yes, the hardpoints are likely fudged and "hand-waived", especially the ship's ability to transport a fighter it it's storage bays, but it fits the work the players have done to the ship. The Shield Modification fits because the PCs got the biggest shield generator they could fit in a space transport, and installed it. I had to make my own Quad Ion Cannon, which should work out pretty well as a foursome of medium ion cannons fire-linked. It's not accurate like a true quad-cannon, but it should do just fine. Finally, while there's no modification listed for a "fighter launch" or "shuttle clamps", I wanted this ship to still be able to haul along a Jedi Starfighter when the need arose. I figured losing a point of Handling while carrying a starfighter in the hold would be good compensation. With the presentation of the Beta Rulebook, and the impending arrival of the Core Rulebook, Star Wars Gamers around the world are drooling over the prospects of playing with the Edge of the Empire system. We've been devouring the free adventures, picking up the Beginner's Boxed set (with official dice! Yay! ), and grabbing every chance we've had to get experienced with the way Fantasy Flight's system works and feels. We're all considered new to Edge of the Empire, but a large number of us are long time Star Wars table-top gamers. Whether you got involved with Wizards of the Coast's editions of the game, or went all the way back to the beginning with West End Games, many of us have put countless hours into adventures in that galaxy far, far away. And for many of us, we're still adventuring there now. We are faced with a common problem; we want to use the new rules set, but we want to use it with our old characters. We want to convert over our current campaigns to Edge of the Empire. We want to play our old faves with the new hotness. It is work, a lot of work, but it's work that can be fun, rewarding, and worth doing. Today, I'm going to share with you my experiences with the process, and share with you my successes, failures, triumphs, and despairs. The first step is to figure out if you need to convert the characters over in the first place. That statement sort of goes against the whole notion of this article to begin with, but it's true. 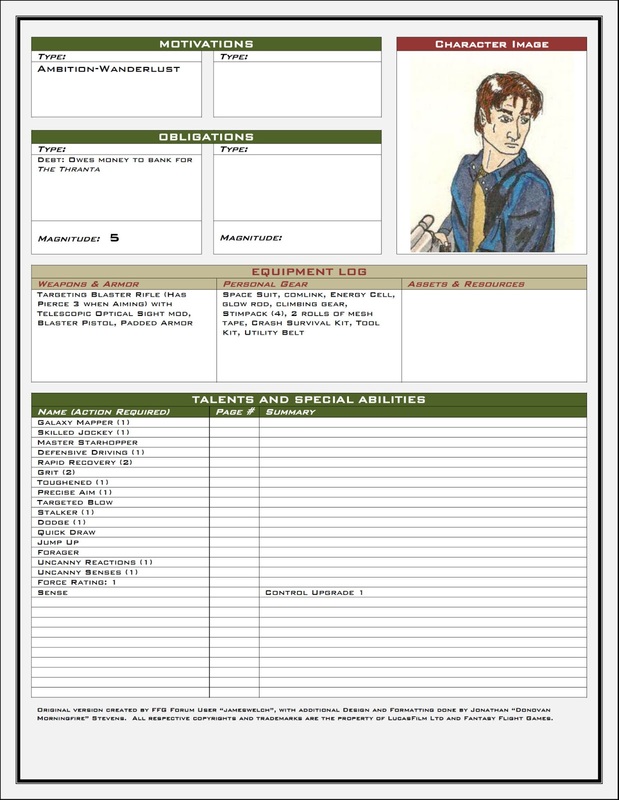 I've had a lot of fun playing the pre-gen characters in the modules that are out there, as have my PCs when I ran them through what's available. 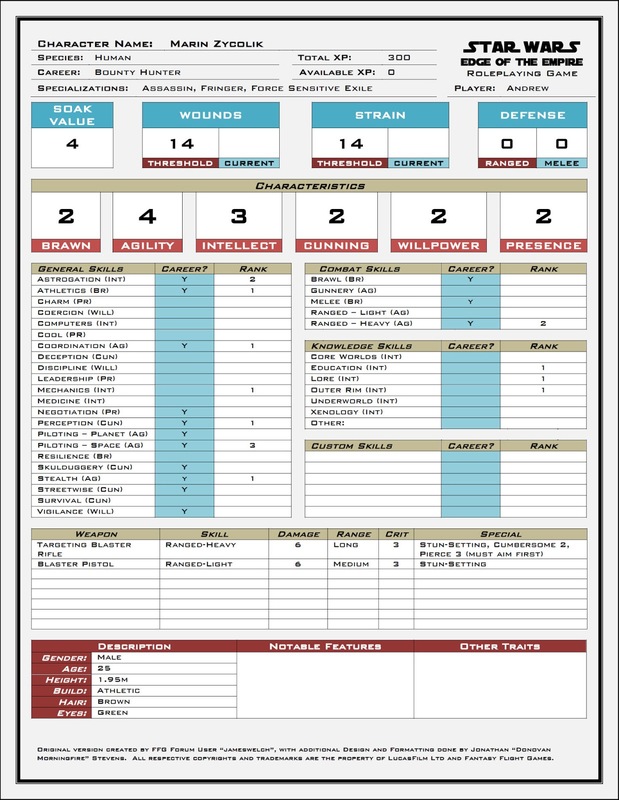 If you're not ready to convert over your entire campaign to the new system, including the highly probable need to homebrew certain classes and vehicles, then don't do it. Put your campaign on the back-burner and run a new Edge of the Empire game until there's enough material out there that you feel comfortable converting. It'll also give you and your players practice earning and using their talents and skills, and can make the jump from the previous edition to Edge a lot smoother. If you decide that you are ready for this undertaking, then let's proceed. For this article I'm going to focus on converting characters from a Saga Edition game to Edge of the Empire. 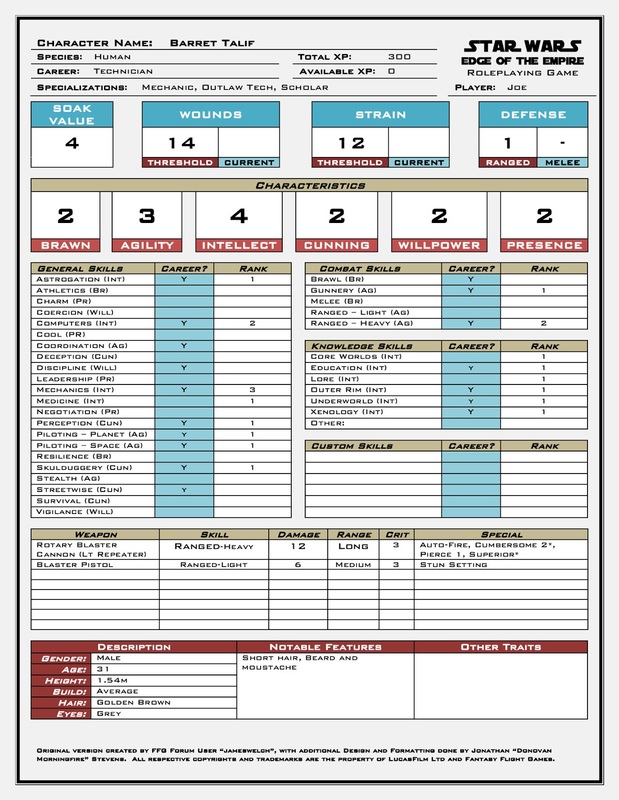 We'll be using that rules set as a base for abilities, and be the target mark for what we're trying to replicate with EotE. One thing to remember is that in Saga, the character has many opportunities to increase stats; 2 ability scores increase by 1 every 4 levels. In addition, characters can bump up a score or two if they complete certain destinies. In Edge of the Empire, you can increase your stats after game start only by taking the Dedication talent, and only one characteristic gets the increase. These talents are buried deep in every Specialization tree, and take over 100xp to get to. Because of this, take a look at what your character's ability scores are in Saga Edition, and spend your starting XP getting as close as you can to those numbers. As a general guideline, try using this as a guide; make the Characteristic value in EotE as close as you can get it to the ability modifier in Saga. So if someone has a 14 Dexterity (which generates a +2 Ability Modifier), their Agility should be 2. 18 Intelligence (+4 Ability Modifier) should be an Intellect of 4. There's a lot of push and pull here. I can see 15s generating Characteristics of 3. 13s converting to 2s. It's all about what looks right, in the end. Now, where to put those points. Brawn is your combination of Strength and Constitution, so if your character had high marks in one of those areas, that's where you want to reflect that. Dexterity to Agility is a direct conversion, as is Intelligence to Intellect. The last two require some consideration of your character and what they did with the stats they had. Wisdom is a good translation to Willpower, but because perception is Cunning based I could see points going in there. Charisma is split between Cunning for deception and creativity and Presence for raw personality and charm. Figur out what your character did with those Abilities and you'll have an idea where to apply that with characteristics. 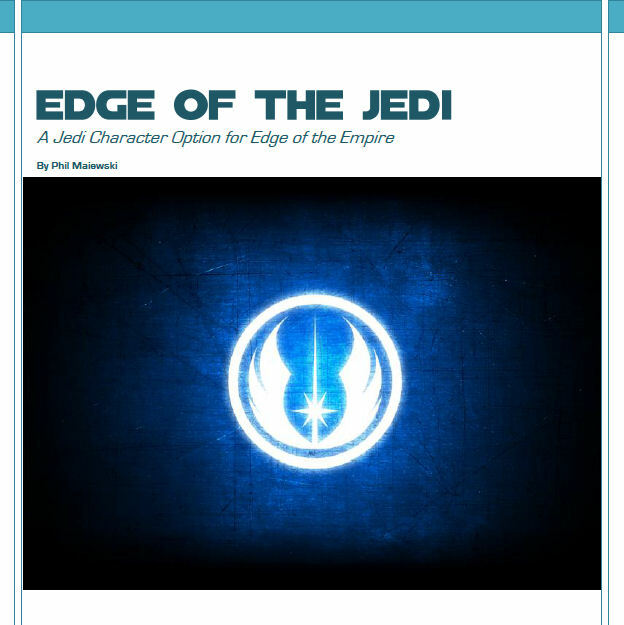 ﻿With the completion (for now) of my Jedi Career and Lightsaber Forms document, I can continue to work on the primary purpose I created those custom rules in the first place; updating my Order 65 Campaign to the Edge of the Empire rules set. Thanks to the diligent work of my PCs and the handiness of Obsidian Portal, I know approximately how many sessions I've run, and can approximate how much XP I should be working with. Looking through the adventure posts and my own list of chapters, I see that we've run about 18-19 game sessions. That puts us just shy of 300xp. For argument's sake, I round that off to 300xp. It might make the characters a little over-powered. If it does, I can always dial it back. 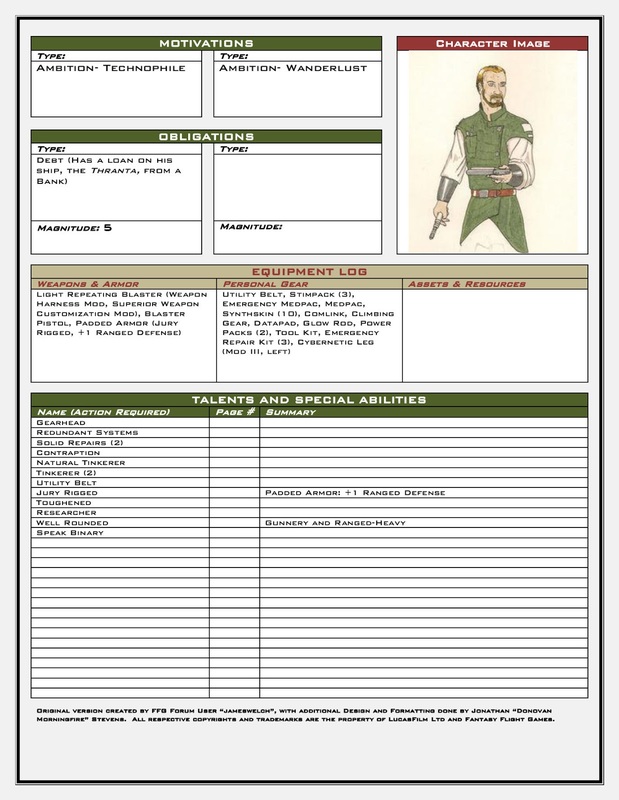 As a base-line example, I started with the most mundane character in the party; Barret Taliff. Barret's a techno-genius from Fondor and loves hauling around a blaster cannon in combat (even if he hasn't been that successful a shot with it). He repairs what he needs, and improvises the rest. He's also become the party's font of information, having taken several talents that allow him to maximize his Knowledge skills. Let's show you what I'm working with. To begin, I started building him as a new character, spending XP where appropriate, and then went cherry picking for talents and skill upgrades that fit. Humans start with 2s in everything. Barret, as the resident smartie and tech-god needed a high Intellect, so I dropped 70 of his starting 110xp into buying up Intellect to 4. Barret has also improved his Dexterity a bit over his adventuring career, so I spent 30xp to get that to 3. I know a Dexterity of 14 has a +2 Ability Modifier, but with so many of his other abilities between 10 and 13, this fits where Barret has gone in his adventuring career. That uses 100 of the starting 110xp for Humans. We'll use the last 10 to pick up a second rank of Mechanics. For Careers, Barret is the techie so Technician is a natural choice. 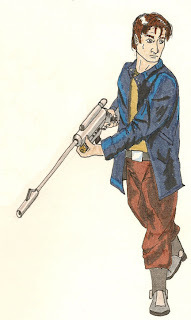 He has been more cultured in his upbringing and more focused on machines than computers, so his initial specialization is Mechanic rather than Outlaw Tech or Slicer. 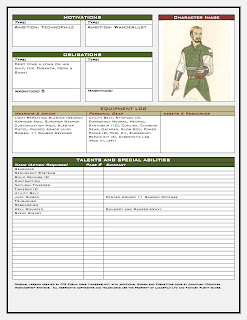 Starting skills are Astrogation, Computers, Mechanics, Perception, Skulduggery, and Pilot-Space. Humans get 1 rank in two non-career skills at start, so I selected Medicine and Gunnery. Barret has that blaster cannon he loves to lug around, and has turned into the unofficial party paramedic. I did have Barret pick up Outlaw Tech as a second Specialization, as well as branching out and buying access to the Scholar Talent Tree in the Colonist Career. I'll go into why later. Let's start with Mechanic; I'm looking for talents that fit Barrel's abilities in Saga Edition. Gearhead is a great start point. That connects to Redundant Systems which encapsulates Barret's nature of scavenging parts and making ad hoc repairs when needed. Looking down the chart, I see that I'm in a column that ends with Natural Tinkerer. In between is Solid Repairs (which fits great because Barret is, first, the ship's mechanic) and Contraption. Contraption is perfect for Barret's Improviser Prestige Class. I'll take the entire column. Time to buy up some skills. Astrogation at 1 is fine, Barret's got a high Use Computers skill in Saga Edition, but Astrogateing was secondary in his role. We'll bump up Computers to 2. Coordination really isn't Barret's forte, so let's skip it. Same with Discipline. Mechanics, however, is another story. Let's get that up to 3. 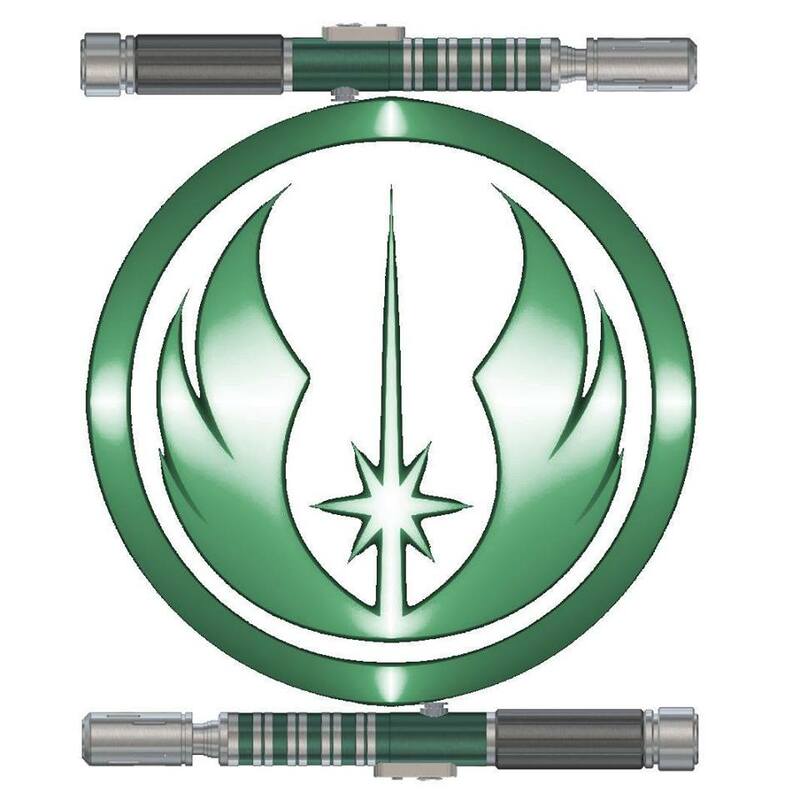 Pilot-Planet fits, so I put a rank in that for 5xp, along with a rank in Knowledge-Outer Rim for another 5. Spent XP thus far is 110. Moving on; I have Barret buy into Outlaw Tech for 20xp as his first extra Specialization, and from the same Career. While he's an educated man, Barret's also had a tendency to fiddle with technology and has been able to squeeze maximum performance out of his machines. This is reflected in the Tech Specialist feats from Saga. Tinkerer is perfect for this, so we start there. But with two Tinkerer talents at the top of the Talent Tree, we have options where to start. I look at the first column and see that mid-way down is the Utility Belt talent. This is another skill that is great for replicating the "I have a tool for that!" nature of the Improviser. Plus in between those talents is a second hit of Solid Repairs. Come to think of it, this entire row is perfect for Barret, so we also take the next talent after Utility Belt; Jury Rigged. I'm going to hold off on the last talent in the column, Inventor. It's a good talent for Barret, but I've got to be running low on XP. I look at the skills he now has access to and put a Rank into the Knowledge skills Education and Underworld. More Knowledge skills for "the professor". With that, I've spent 80 xp here. From my 300, I'm left with 110. I mentioned that Barret is educated, formally in fact. This screams for Scholar, so we pick up that specialization. Sadly, because it's his third specialization, and a non-Career one, it eats a whopping 40xp to access. Barret's Education talent from Saga let him roll every Knowledge skill as if it was trained. I want to mimic that here. Scholar gets him Knowledge-Outer Rim and Xenology. We'll put a rank into both of those with a rank for 10xp. That leaves him with two Knowledge skills he doesn't have at Career skills. Fortunately, there's a way to fix that in Scholar. Well Rounded is a Scholar talent that Barret can take and unlock Core Worlds and Lore. Plus it gets him Toughened and Researcher along the way. But are two Knowledge skills the best use of Well Rounded for Barret? Sure, he'd have all Knowledge skills as career skills, but with an Intellect of 4, is the player likely to buy up those skills anymore? I think he's better served by picking up Core Worlds and Lore as his bonus Human Skills, and take Well Rounded to make Gunnery and Ranged-Heavy as Career skills to give him some combat offense. Barret loves his blaster cannon, as well as the rotary blaster cannon he picked up in his travels. Plus when he's not fixing the party's spaceship he's manning one of the turrets. So we go back to the beginning, make the two Knowledge skills the bonus Human skills, and spend 15xp on Ranged-Heavy 2 and 5xp Gunnery 1. Total XP in Scholar, 90. Total XP over-all, 280. Let's see if there's anything I'm missing. Barret's a Linguist, but there's really no Language skill or ability in Edge of the Empire. I remember that I've now edited out Barret's one rank of Medicine, so we buy that back for 10xp. Looking over my options, I feel dropping another 10xp into Outlaw Tech Talents is the way to go, snagging another Tinkerer for 5xp, and Speaks Binary to give Barret some proficiency with directing NPC droids (he did have Droidcraft, and there are NPC droids aboard his ship)..
And with that, I've spent 300xp. That's it for Stats and Abilities, let's look at equipment. Barret has a blaster pistol for back up, and a blaster cannon as his main weapon. Closest analogue to the blaster cannon is the Light Repeating Blaster, which could replicate his Rotary Blaster Cannon anyway. 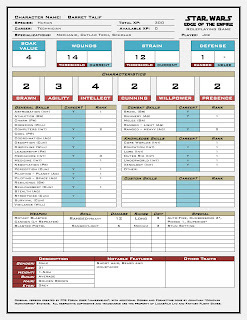 It has a Cumbersome 4 rating, meaning Barret with his Brawn of 2 would add two difficulty dice to his rolls. Remember that Barret is a mechanic, and a modification expert. With the application of the Weapon Harness modification, he lowers that Cumbersome quality to 2, which he can easily handle. Due to Barret's Superior Tech feat from Saga, and the fact he modified his weapons extensively, we'll also give this cannon the Superior Weapon Customization. 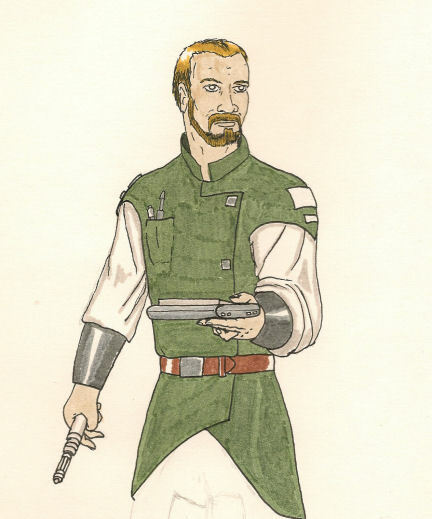 For armor, Barret never had Armor Feats in Saga, so he is mostly wearing basic clothing. Let's give him Padded Armor, though, because he needs all the protection he can get. When you carry a big cannon, you draw a lot of heat. Because of this, Barret will apply his Jury-Rigged talent to the Padded Armor, giving it a Ranged Defense bonus of +1. We port over the usual gear you'd expect someone to have in Star Wars; Utility Belt, Stimpacks, Comlink, Climbing Gear, Datapad, Glow Rod, and extra Power Packs. Because of his medical training we give him a Medpac on the ship, and Emergency Medpac in the field, and 10 doses of Synthskin. For his Mechanics checks, he's got a Tool Kit and 3 Emergency Repair Kits. Finally after an unfortunate encounter with a Sith, Barret lost his left leg to a lightsaber cut. He's got a cybernetic leg to replace it, but doesn't receive any specific bonuses due to having it (because he's still got his original right leg). The final touches are the tricky ones; Obligation and Motivation. Lucky for me, Barret has a big obligation thanks to his character origins; Debt. He took out a bank loan to buy the ship he and his partner, Marin Zycolik, map the galaxy in. It's not a criminal organization, but a reputable lender, so a 5 point Obligation is probably sufficient enough (especially because Barret and Marin have worked to stay ahead of the payments). I actually lucked out for Motivations too, because I subscribed to GM Chris's "Three Questions" and made all my PCs answer the following questions. What does your character Love? : Kind of abstract, but his love of tech and anything new keeps Barrett going. He knows the next great breakthrough could just be around the next star system and he wants to be the one to discover it. Plus he loves working to music. Be it actual music or the pulsing hum of a well-tuned engine, it’s all love to his ears. What does your character Hate? : He has a weird distrust of anyone who doubted him and his dreams back on his home world. Sort of like he’s out to prove them wrong. There is also an irrational doubt when dealing with anyone from a low-tech world. Why is he working for the Republic? Barrett may be from a noble background with some income, but it doesn’t pay all the bills. If he had his way, Barrett would be tooling around the galaxy on the lookout for the latest and greatest tech toy. But there is no income in that. So he’s working with Marin and the rest of the group to help pay for his way across the stars. So Barret has the following Motivations; Ambition-Technophile and Wanderlust. His "hate" is a good one, but is hard to fit into the "Ambition/Cause/Relationships" framework. It's sort of a part of his Technophile Motivation, as he distrusts and dislikes those who are afraid of or refuse to use technology to improve their lives. When I did this conversion, I was surprised how quickly experience points were eaten up. Trying to capture the feel of this Saga character required me to buy into two extra Specializations, one of them a non-Career one. That ate up a lot of points, almost a quarter of them. I likely could have cut one of them, and been happy with a more focused character (300 xp and not one purchase of Dedication...? ), but I don't think it would be Barret. He needs those Specializations to round out the various skills and abilities he's picked up in over three years of gaming. This is the first of seven PCs I have to convert, and he's the easiest. Next is Vandal the former HK-Assassin Droid, Marin the Explorer Corps scout, Lucas the criminal hero (think Zorro with Force Powers), Glendora the Zeltron Jedi Healer, Nicaela the Miraluka Jedi Duelist, and Tycho the Jedi Sage. Those last three are going to require a fair bit of custom work. Fortunately, there are people out there who have home-brewed resources for folks to use while we eagerly await for Fantasy Flight Games to fill in the gaps. Odds are pretty good that you're not going to be able to port over your characters directly to Edge of the Empire. Like me, you'll need to either come up with some custom house-rules, or find someone online who's done the work for you. There are many great resources over at the D20 Radio Forums from folks who have made custom races, ships, and Careers and Talent Trees for those pesky Force users. Well, here it is. My Jedi Career and my Lightsaber Style Talent Trees all wrapped up into one nice, neat package. Thanks to some feedback from Donovan Morningfire I've made some changes and updates. Likely I'll need to do several more updates, especially when the core rulebook is actually released. I'm certain I'll need to make some tweaks as feedback and play testing occur. But for now, here it is. My work, shared with the world. Enjoy, and let me know how it plays!